Cuba is the largest of the Caribbean islands and has the most people living on it. It has been under Spanish rule for almost 400 years. It still remains to be one of the only communist countries in the world and has always been proud of its independence. 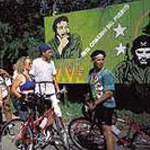 Fidel Castro arrived on the island in 1956 as part of a group of rebels who came from Mexico. He started a movement that in 1959 saw him become Prime Minister of the country. Amazingly, he kept his title until just recently in 2006 where he handed power to his brother. 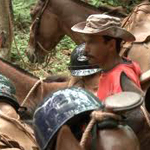 There are many different races, which live on the island, but the largest percentages of the population are Spanish. Its economy has gone from strength to strength, and it provides some of the best education in the whole of Latin America. There is also a whopping 11 million people who live on the island. Its main industry today is tourism, but it has always been one of the largest major exporters of sugar. This has supported the country for many years before tourism has now taken over. Cuba is really becoming the place of choice for many people to take a vacation from all over the world. It offers some of the best scenery and beaches that you'll find on any of the Caribbean islands. It is becoming a very popular destination for fishermen throughout the world also. Whether it be fishing from the shore or deep-sea fishing, Cuba and its surrounding waters is really becoming one of the best fishing spots in the world. Surprisingly, due to its many regulations you cannot fly directly from America to Cuba. It is possible to get around this by flying to Mexico or Canada first where you'll be able to pick all the documents you need to enter Cuba. You must also be aware that without the proper licence, you are unable to spend any American dollars in the country. It is vital that you get the correct legal information before trying to enter the country. 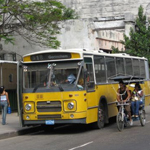 This will save any unnecessary complications and will mean you can enjoy your trip to the fantastic island of Cuba. Whatever your reasons for visiting Cuba you can be guaranteed that you won't be disappointed, and it will live up to all your expectations and more. www.travelandtransitions.com Have put together a very nice video, which takes in a lot of the main sites in Havana. This video has a strong bias towards looking at the old American cars. Professionally edited its short but well worth taking a look.